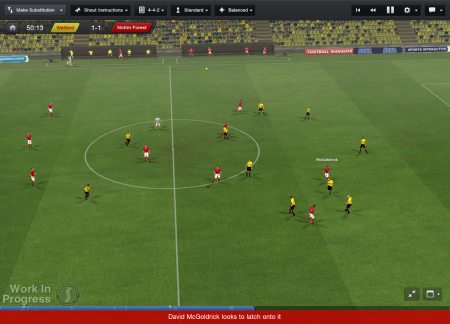 The past two weeks have seen numerous video blogs from Sports Interactive’s Studio Director, Miles Jacobson where he explores some of the new features that will be present in Football Manager 2013. There is a wealth of information contained in these video blogs with changes to almost every aspect of the game detailed. The entire catalogue can be viewed here, they might take some time to go through if you haven’t watched any just yet. I recommend watching the videos about training and the changes to various competitions, though the chance to take part in the media activity surrounding transfer deadline day as detailed in today’s video (below the jump) sounds quite excellant.